Topographic survey for section 16 of the Blake Estate. 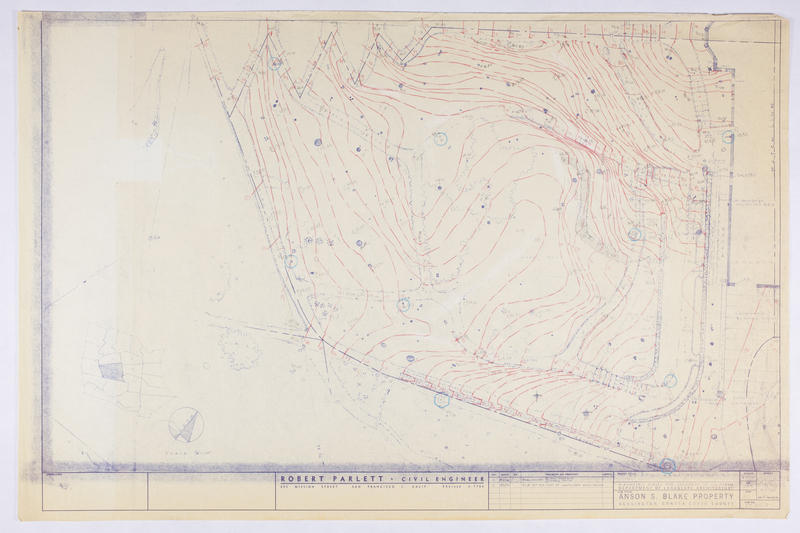 Scott, Geraldine Knight (Landscape Architecture Professor); Parlett, Robert (Civil Engineer), “Blake Garden, Topo Survey: 16,” Environmental Design Archives Virtual Collections, accessed April 20, 2019, http://virtualcollections.ced.berkeley.edu/items/show/309. Recognize this item? Help us identify it by submitting information.